It is so wonderful to see that there is now a fairly large movement in our world toward more sustainable gardening and agriculture! Many people are beginning to seek out alternative ways of growing healthy and organic food. Along with this, there are also many people seeking healthier and more natural ways of maintaining their yards and gardens. Perhaps you are one of them. 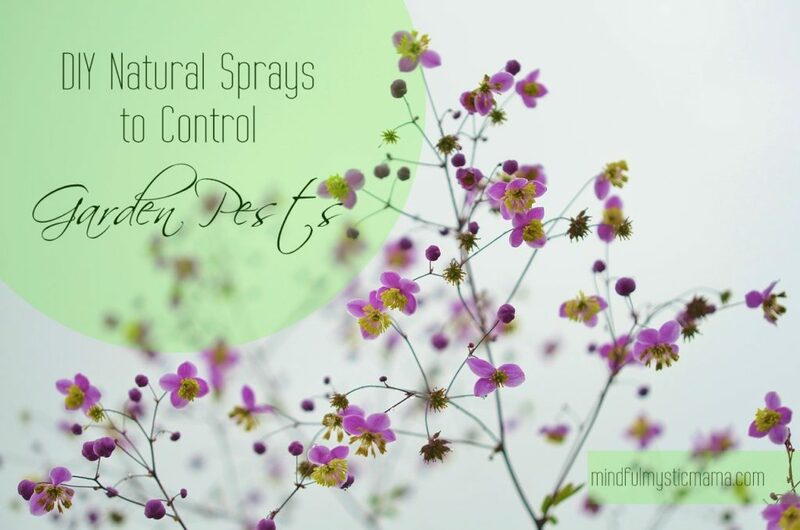 If you are planning to use more natural types of pest control in your garden, you can make your own natural garden sprays to control pests. The major bonus to this is that the required ingredients are not at all expensive. You probably have a lot of these items already somewhere in your home, or perhaps even growing in your garden! The following are some recipes for repelling the pests from your yard and garden that are very simple to make, and perfect for anyone just getting started with DIY and natural homemade products. Please be aware that some of the recipes call for liquid soap – and this refers to vegetable-based soap (such as castile or oil soap, as is used for cleaning wood and floors). You won`t want to use dish or laundry detergents, as these will harm plants. 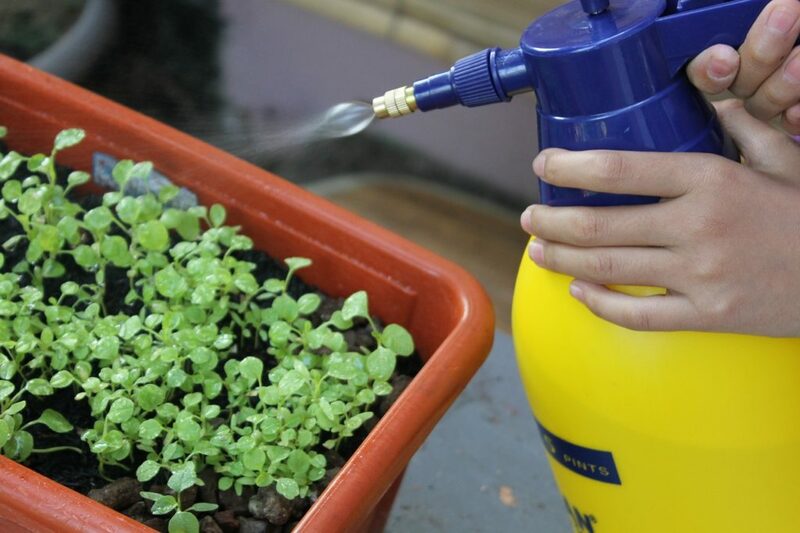 This is a very basic, simple spray that works to control many different kinds of garden bugs. You’ll want to do this gently (so that it doesn’t foam): mix 1 tablespoon of liquid vegetable soap with 1 quart of water. We actually call this one the Red Hot Chili Pepper Spray … and yes, that is in tribute to the band! Because they’re awesome. This spray is reputed to kill caterpillars that are having their way with the growing food in your garden. 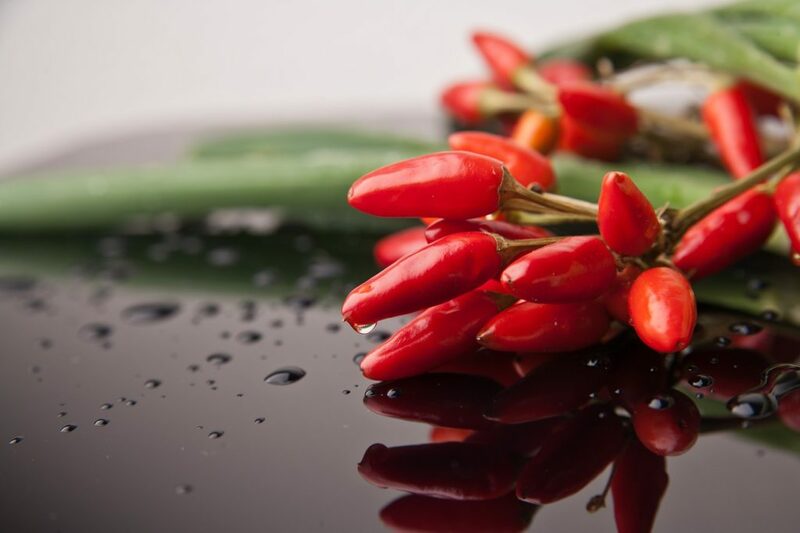 What you want to do, is in a blender, whip 2 cups of fresh chili peppers (or 1 cup dried) with 2 cups of water until it is transformed into pure liquid. You will want to use this spray right away, and be sure to put a label on the bottle that says “keep away from eyes”. This spray means business. It can even help to keep larger animals (such as opossums and rabbits) away from your garden food, as well as snails and slugs. It will kill white flies and aphids (be sure to spray under the leaves for aphids). You will want to begin as you do with the chili spray above, but this time you will want to add one cup of chopped wormwood herb before blending it (and you may need to add a bit more water to blend it into a liquid). What you will want to do then is to add 5 cups of water, boil, and steep for an hour. You will then need to strain the mixture well before spraying. Be sure to keep this spray from contacting your eyes and skin! There is a multitude of great garlic-based sprays that will repel or kill a variety of pests. Garlic is said to be especially effective against ants, cabbage worms, and caterpillars, but it works as a repellent for a wide variety of unwanted garden pests. 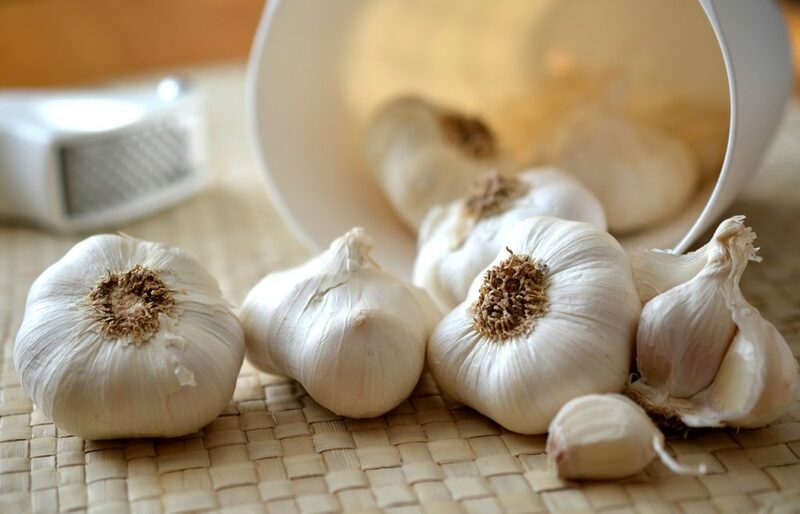 * Basic Garlic Spray: Take 4 raw garlic cloves, and steep them in a quart of water for about 3 days. Then transform them into a liquid using a blender. So easy! * Garlic Soap Spray: Take 4 cloves of garlic and steep them as above, then add 2 tablespoons of liquid soap before blending. * Garlic Hot Pepper Spray: Add 3-4 chili peppers to the mixture before blending. * Garlic, Hot Pepper, and Onion Spray: Give this concentrated spray a try for red spider mites or aphids. Chop a head of garlic and a medium onion (no need to peel first). Add chopped garlic and onion to 5-6 cups of water and stir in a tablespoon of cayenne pepper. Bring to a boil and simmer for about 20 minutes. When the mixture has cooled, let it sit in a glass jar for a month to six weeks. Then, strain and add 1 tablespoon of this formula (plus an optional tablespoon of liquid soap) to 1 quart of water to make a spray. Keep this out of your eyes and off your skin. * Garlic oil spray: To kill aphids, onion flies, and mosquitoes, chop the bulbs of 3 to 4 heads of garlic. Steep in 2 tablespoons of mineral oil for about 24 hours. Then mix 1 teaspoon of fish emulsion with 2 cups of water and stir until dissolved. Add the fish emulsion mixture to the garlic and mineral oil. Strain and store in a glass container (not metal). This is also concentrated, so use 1 tablespoon per 1 1/4 cups of water. It all takes a bit of practice to get into the swing of things, and learn which mixtures work best for you, your family, and your garden. Good luck, have fun, and happy gardening! Good tips there. I also prefer to use organic spray than non organic spray. its safer and effective. and can easily be made. I’m taking note on this one. I also suggest to use Tomato Leaf Spray as it is effective in killing aphids and mites. It works because the alkaloids in the tomato leaves (and the leaves of all nightshades, actually) are fatal to many insects. This is awesome advice! These tips all seem relatively easy to do from home, and they can really make a big difference when it comes to controlling pest. Great post! Thanks for sharing! Hi Morgan! I’m glad you found this useful. Thanks for stopping by! I wonder how well this form of pest control works. The nice thing with pest control is that there are so many alternatives. This one would be perfect for a home that has a lot of small children or animals so that they don’t pick up the poisons and ingest them.